Petri nets offer a bipartite and concurrent paradigm, and consequently represent a natural choice for modeling and analyzing biochemical networks. We introduce a Petri net structuring technique contributing to a better understanding of the network behavior and requiring static analysis only. We determine a classification of the transitions into abstract dependent transition sets, which induce connected subnets overlapping in interface places only. This classification allows a structured representation of the transition invariants by network coarsening. The whole approach is algorithmically defined, and thus does not involve human interaction. 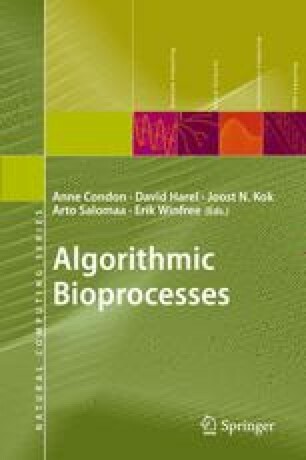 This structuring technique is especially helpful for analyzing biochemically interpreted Petri nets, where it supports model validation of biochemical reaction systems reflecting current comprehension and assumptions of what has been designed by natural evolution.